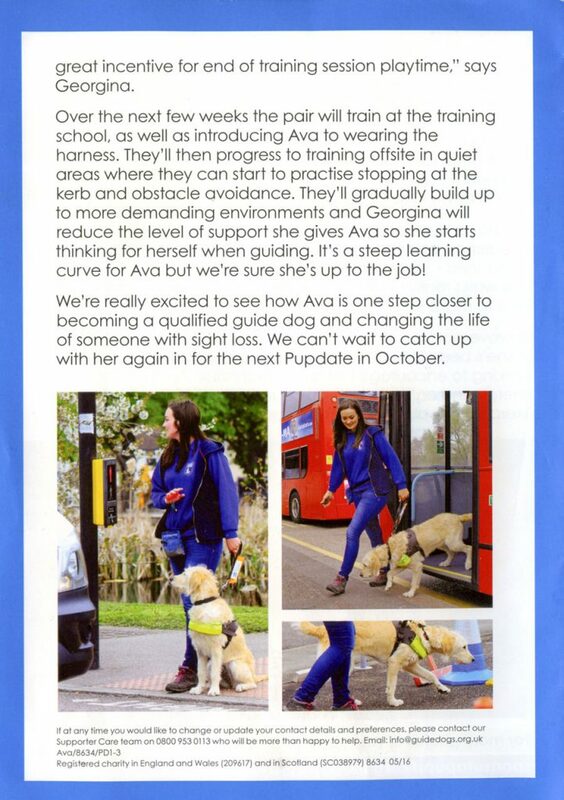 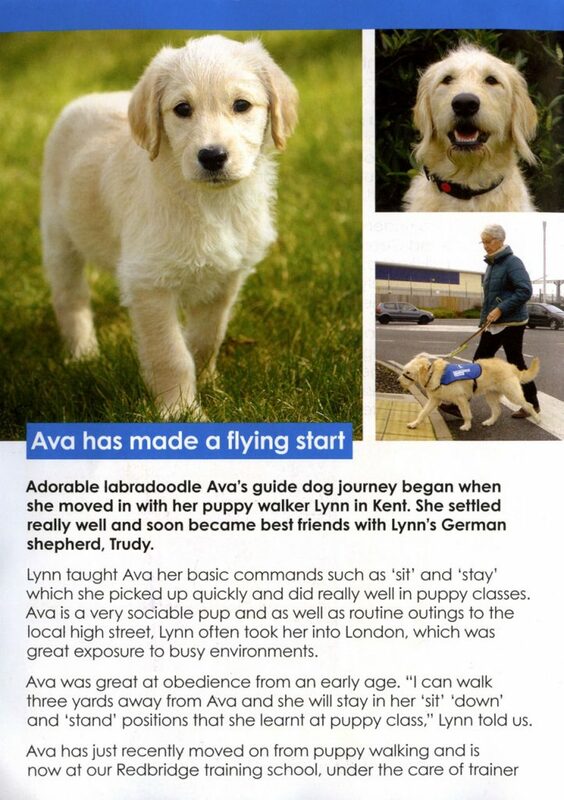 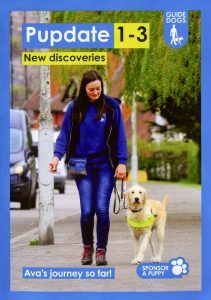 The Club Scale Section is sponsoring a Guide Dog puppy. 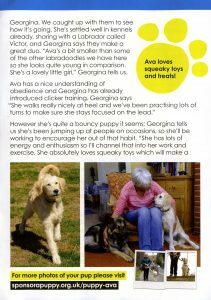 Unfortunately the first dog, “Zeb” has started showing signs of nervousness when out on a lead so has been retired from training. 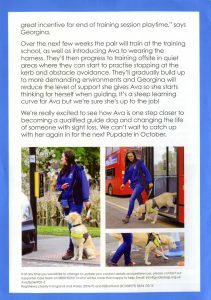 A new dog “Ava” has now started to be trained.